Thousands of meditators like me heard the request. Thanks to the daily TM practice we experienced greater clarity, better health, and more happiness. Those experiences made Maharishi’s bold promise seem at least plausible. However, most of us were in our 20’s and 30’s, many starting families. How would we support ourselves? We didn’t farm,and there were only so many volunteer positions at Maharishi International University (M.I.U), which promised only a dorm room and board. At the time I had an excellent position as a software engineer at Hewlett-Packard in California’s sunny and mild Silicon Valley. A short drive took me to the ocean, San Francisco or Yosemite. Now Maharishi asked us to relocate to a land of hot summers and cold winters five hours from the major Midwestern cities. Over the subsequent years many of us followed our heart, ignored common sense and our family’s pleading, and moved to Fairfield. In Fairfield, we started hundreds of small businesses despite that most of us a decade ago before were anti-establishment hippies, who knew nothing about business. Many businesses failed. Others succeeded but stayed small. On the other hand, some ended up being valued at hundreds of millions of dollars. We pioneered inexpensive long distance, infomercials, and testing for genetically engineered food. My publishing business wrote about small computers, which became today’s smartphones. Other entrepreneurs restored stained glass, took marathon running finish line photos, brokered oil and gas, created book covers, taught yoga teachers, supplied products to chimney sweeps, created People Magazine’s best ice cream of the year, sold incense, made a top bird watching website, developed no-money down real estate courses, ran an organic dairy farm, started a healthcare company, provided back-end services for financial planners, invented sky ceilings, and so much more. Rita, my wife to be, and I shared a deep desire for spiritual growth. 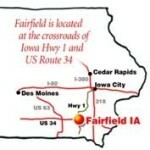 Consequently, our honeymoon in 1984 consisted of the drive between Palo Alto, California and Fairfield, Iowa. Both of us gave up good jobs. We had about $20,000 of personal savings to cushion us on our new adventure. Shortly before leaving Hewlett-Packard, I used the employee purchase program to buy two cutting edge products – the first LaserJet printer and the first MS-DOS compatible laptop. 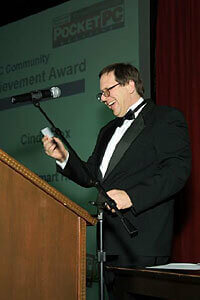 Once in Fairfield, I decided to write software that would allow the two devices to communicate. I soon realized that I would not make my fortune promoting “PrinterTalk.” To support Rita and me, I began selling personal computers for a local retailer. My wife knew I wasn’t happy selling computers. Her regular prayer augmented by twice a day meditation was that I start my own business. One day, as Rita recalls, I burst out of my office — I would create a newsletter to support HP laptop users, and through the newsletter I would sell PrinterTalk. I believe much of my later success resulted from the manifestation power within Rita’s inner silence. Over the next 26 years we produced 179 issues of magazines about HP Portables and Palmtops; Microsoft handhelds, Pocket PCs and smartphones; and the Apple iPhone and iPad. In 2011 at the age 64 I turned the business over to three 20-something employees. The four of us shared ownership. My only responsibility was to give counsel. Although I had an excellent education, I had no business or publishing background. My story was like many of the immigrants to Fairfield meditating for world peace and seeking enlightenment in the domes. We began businesses and in many cases despite ourselves, succeeded. I’ve always loved to teach. I thought that sharing the successes and challenges of those of us who started businesses in the 1980’s and 1990’s could really influence the lives of young undergraduates. Here is part of what I wrote to my students at Maharishi University of Management (formerly Maharishi International University). This course will likely change your life. A similar course I took 30 years ago taught by Silicon Valley entrepreneurs changed mine. 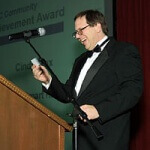 In this class you will be exposed to extraordinary ideas from Fairfield entrepreneurs. Seeds will be planted that you will use for the rest of your life whether or not you end up starting a business. During these weeks wonderful, successful people give their time freely. They do so to share what they’ve learned. They will tell you the most important things someone starting a business should know, and many will share the role of the Transcendental Meditation program to their success. I promise you, if you are proactive and take full and active responsibility for getting what you want from the class, ideas from the class will stay with you for the rest of your life. Listen and assimilate the ideas that resonate. I can’t wait! I’ve now taught the course for three years, with over 40 speakers. Students tell me the class has indeed changed their life. The guest speakers surprised the students in how different they were. Some were introverts, others extroverts. Some were cautious, and some threw caution to the wind. Despite these differences, they all shared the common characteristics of passion, persistence, generosity of spirit, vision, keeping promises, clear thinking, and the ability to adapt to and take advantage of change. They also shared the daily experience of the pure field of creative intelligence during T.M. 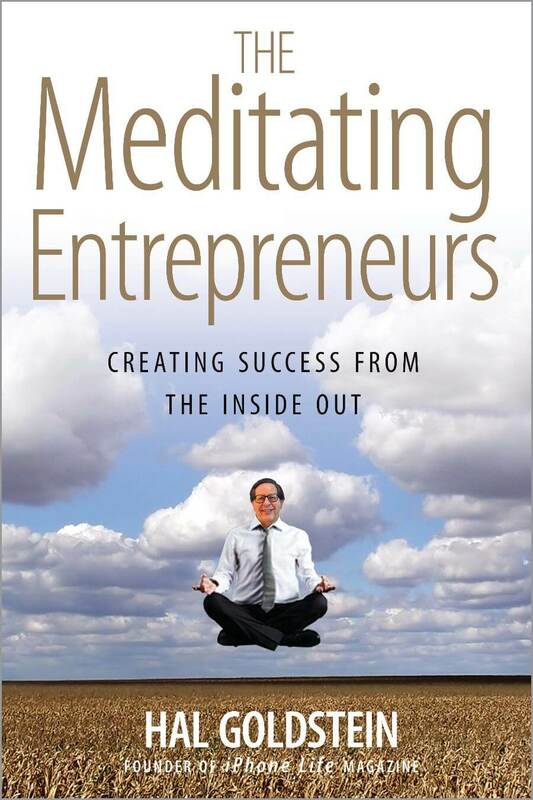 In this book I share the stories and wisdom of many Fairfield accidental entrepreneurs. I go deeply into common characteristics of success, plus look at the fundamental elements of business success — time, money and luck. 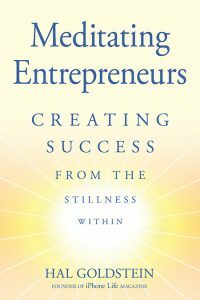 If you are interested in more stories, and of audio and videos of the people you read about in this book, check out www.TheMeditatingEntrepreneurs.com. My goal for this book is the same as the class — to inspire success in your life by sharing extraordinary stories and wisdom from wonderful, successful entrepreneurs. While I consider this book most practical, its practicality lies in its real world expression of the fundamentals of success. Readers who relate to these fundamentals will feel more confident starting their own entrepreneurial activities, whatever their background. The book does not pretend to teach necessary business skills in the areas of marketing, accounting, or operations. Also, the experience, understanding, and purpose of TM plays a central role in this book. However, the book is not about TM; it is about what it takes to start and run a successful business. Naturally, the book will attract meditators and those with spiritual inclination. My thesis is that not only can you have both spiritual and material abundance, the two go hand in hand. Read more of book.